For many cannabis retailers, finding budtenders is a friends and family exercise. First considering people they know, and more often than not, are able to find a suitable candidate. That may work for a year or two, if you’re lucky, but it can also be a risky move. While they may provide a loyal employee base, it can be overshadowed by interpersonal baggage. Rather than relying on your personal circle, open the position and see how great of a budtender you can get. Keep reading to see how you can find the perfect fit for your business. Often times, when retailers realize the need to move away from hiring people they know, they end up circulating budtenders. New budtenders get their first job in cannabis, gain some experience and training, then seek a better opportunity. Maybe they’re disillusioned with their employer, or perhaps their employer is disillusioned with them. Could be the environment, other employees, the mission of the business…for whatever reason, budtender turnover can be high. Unfortunately, many business owners get stuck in the circulation phase. Managers want budtenders with experience in the industry, and that means having more than one cannabis industry job. While the experience is great, if the applicant has changed job multiple times, it could be a red flag. By hiring an “experienced” budtender, retailers expect to save time, money and other resources on training, which is critical in the industry. Additionally, dispensaries want someone who is comfortable speaking with patients or customers and have specific knowledge on intake methods, strains and even growing. The problem with this recruiting model is that it emphasizes the ease of finding candidates. The emphasis needs to be on the hard work of hiring budtenders with the skills, attitudes and dedication to be great budtenders and outstanding employees. It’s not just, can you do the job, it’s, do you have the knowledge, passion and experience to do the job well. When filling this important, customer-facing position, it’s important to start with a clear understanding of what you’re looking for. Know the role that experience plays, compared to intangibles like ability and attitude. Hiring experienced budtenders isn’t a bad thing by itself. However, research tells us that the average manager places too much emphasis on experience when making a hiring decision. Just because someone has been a budtender for six months doesn’t mean they’re necessarily good at it, or that they’ll be a good budtender in your shop. In fact, some store managers avoid hiring experienced budtenders because they believe it’s easier to teach someone how to be a budtender, rather than to try to correct the bad habits they’ve picked up at previous jobs. As long as you keep experience in perspective and don’t overvalue it, there are benefits to hiring people already in the industry. They understand the job and will not be comfortable with the pace, mental rigor or customer interaction. They also bring product knowledge, which is one of the most difficult and time-consuming areas to train to proficiency. Experience can be valuable, but by itself it’ll never make a lethargic, uninterested, preoccupied or customer service-challenged individual a great budtender. Hiring for attitude is a given today, for any job. 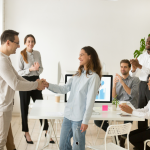 Progressive employers understand that the attitude employees bring to the job is one of the most important factors to their contribution. But how do you measure attitude in budtender candidates? There are pre-employment assessments you can purchase and give to candidates such as this one from The Hire Talent or this one from HRdirect. We recommend checking with your attorney regarding any legal risk to making this part of your application process. Regardless, you also want to hone your interviewing skills so you learn first-hand about a candidate’s attitude during the interview. A book that can help you with that is Hiring for Attitude by Mark Murphy. Much can be said about hiring a budtender who is naturally good at customer service—and for good reason. Building rapport with customers is critical to provide them with a good experience that will engender confidence in your business. But budtenders need other abilities as well, such as the mental acuity to deal with the challenges of the job. Budtending requires deep knowledge of scores of products, instant recall of dozens of rules and regulations, and quick math skills to convert measurements into common equivalencies. Many retailers put the burden of this task on their point-of-sale (POS) systems, like Metrc, which is required in many states. It’s true that most POS systems compute equivalencies and flag sales outside of regulation, but that’s not enough. 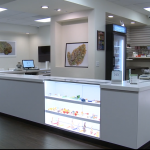 If budtenders are not aware of the legal limits without the POS, they will look like amateurs. Good budtenders have the ability to compute equivalencies on the fly so they don’t cause headaches for customers. Finding a budtender who can personify the vision and mission for your dispensary is huge to your success. Take the time to improve your interview skills and process depending on what you’re looking for. You may include reference checks, training requirements, probationary periods and other efforts that can help ensure a great budtender is a lasting budtender. If customer-service is at the top of your must-have list, consider business-wide training with a reputable and respected training institute. The Cannabis Industry Institute is a family-owned and operated education provider specific to the professional cannabis industry. 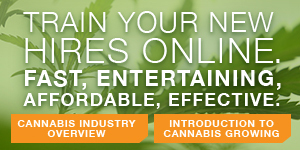 From cultivation centers to dispensaries, MIPs and Metrc training, we’ve got it all! Check out our full range of online, onsite and custom courses to see how you can provide the best service to your customers or patients.